More than 700 Baird associates and family members donated a collective 2,200 volunteer hours May 20-26 to help more than 75 non-profit organizations as part of the firm’s “Baird Gives Back Week.” The initiative was launched two years ago in Milwaukee where Baird is based, and was expanded this year firmwide with more than 35 locations participating including offices in Shanghai, Baltimore, Chicago, Dallas, Nashville, Raleigh, San Francisco, and the Twin Cities. Associates across the firm helped with projects such as preparing and serving food, tutoring and mentoring students, working with seniors, building homes, cleaning up parks, performing indoor/outdoor maintenance, and assisting with event coordination. 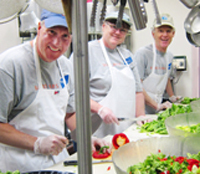 Organized by Baird’s Community Involvement Associate Resource Group, a group of associates who share a passion for volunteering, “Baird Gives Back Week” is an extension of Baird’s commitment to the communities in which its associates live and work, which is core to the firm’s culture. This caring commitment is a tradition built through the efforts of the firm, the Baird Foundation and the community involvement of Baird associates. 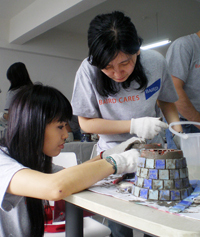 Associates receive a paid day off each year to perform volunteer service through the “Baird Cares” program.